We have a full time litigation and dispute resolution department with experience handling a variety of commercial disputes. Members of the litigation department have successfully handled cases in Thailand’s Supreme Court, Appellate Courts, Civil Courts, Criminal Courts, Intellectual Property and International Trade Court, Bankruptcy Courts and Labour Courts. Our dispute resolution department has handled arbitration matters before the Thai Arbitration Institute, the Thai Chamber of Commerce, the American Arbitration Association and arbitration matters in Thailand conducted under the International Chamber of Commerce rules. The team has also played a significant role in arbitration proceedings conducted under the SIAC rules in Singapore and under the rules of the International Center for the Settlement of Arbitration Disputes, Washington, D.C.
Thai work permit laws provide that only Thai nationals can act as advocates (attorneys) in arbitration matters that take place in Thailand when there is a claim against a Thai party or Thai law governs the dispute (Thai legal qualification is not required). 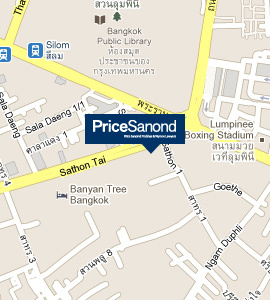 Unique among law firms in Thailand, PriceSanond has a U.S. qualified lawyer who both (i) holds Thai nationality and (ii) has handled international arbitration matters and taken complex commercial cases to trial in the United States. For more information on Dispute Resolution please click here to go to the Knowledge section of our website.